For people that didnt know this was a thing. The syntax and punctuation in that post is atrocious. 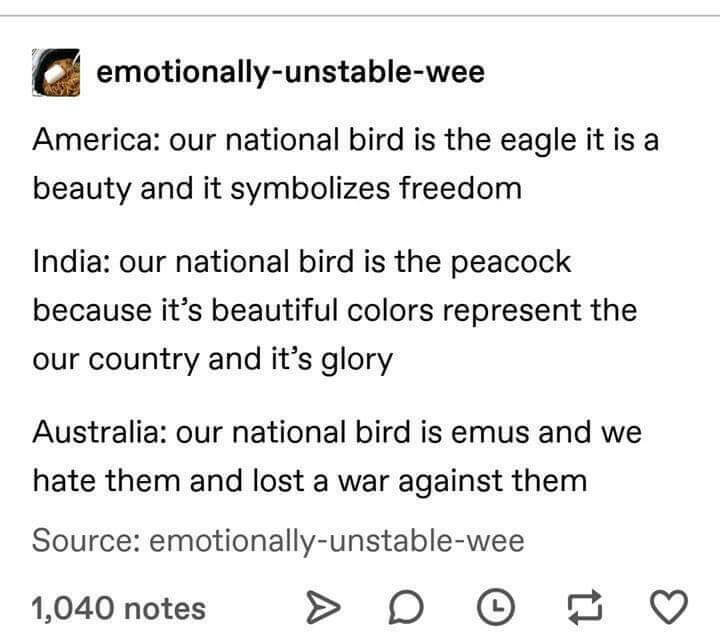 Emu doesn’t even taste nice either, but I eat them anyways to maintain dominance. Sorry, I can’t recall seeing it here before. Reposts happen. 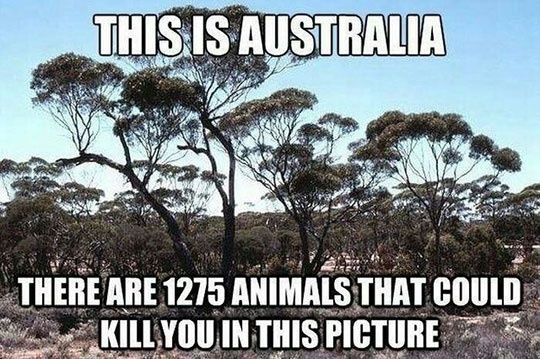 There are many awesome, astonishing and spectacular things about Australia. One of my favorites is Jim Jefferies. You would think Aussies would claim the Cassowary, kind of like an emu with an attitude.